I always thought if I built a speedster to go with my ‘17, I’d string-wrap the steering wheel. 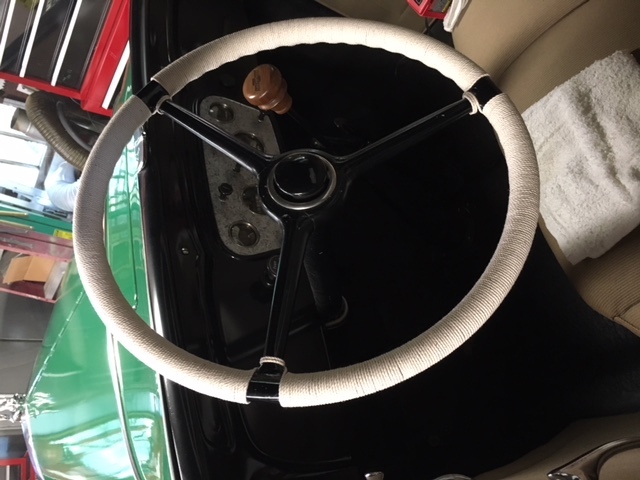 Well, found a roll of string in the toolbox and decided to try it on my ‘32 Chevy wheel. Kind of a tedious job, but I like the result. Just need to tone down the string color a bit. Dare I ask for comments? 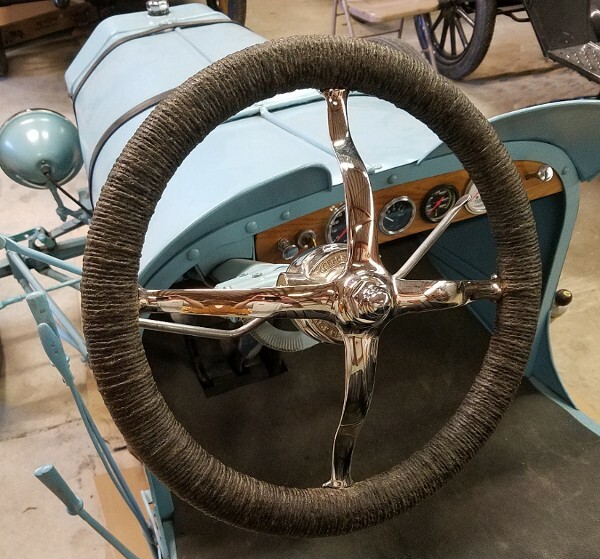 Is it just string wrapped around the wheel or is the string coated with something (varnish, lacquer, etc.)? I imagine it would last a lot longer if coated. I have an Indian Junior Scout with a string wrapped throttle. Unvarnished....the years of sweat and oil keep the wrap tight. I used several coats of varnish and sanded between coats to get the texture that I like on my speedster. It gives a nice feel to the wheel. How long a roll does it take? George, I’ll probably let it age before attempting to coat it. James, That looks great. Thanks for the advice. John, I used up a big spool of string wrapping mine, way more than I thought I’d need. Unfortunately, it came out of a drawer in my toolbox without a label, so no info on length. Other members will have better info.